First let me start by defining horror. Horror to me is a combination of suspense and terror. It’s the thing (no pun intended) that crawls up the back of your neck and when you reach for it, terrified to find out what it is, it turns out to be far worse than you could have imagined. Terror and horror to me are not gore fests. Movies like Friday the 13th, Saw, Hostel, Black Christmas and a reign of other knock off movies are laughable at best, mostly maudlin, and at worst so terrible that you can even get a good Mystery Science 3000 night out of them. Movies like The Exorcist or Alien are truly terrifying. They don’t rely on their gore to be horrific. They are horrific because of everything they don’t show, of placing the human element in a world so foreign that the very question of humanity is turned upside down. That said, after recently re-watching ‘a favorite’ of mine I have now decided that it is the most horrifying movie of all time. 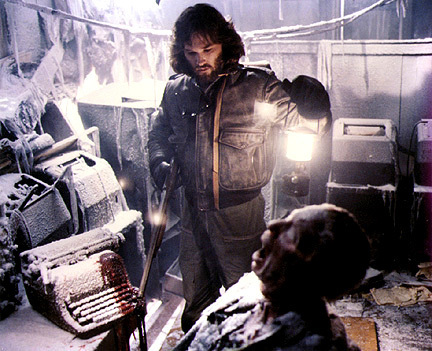 John Carpenter’s The Thing. Why do I rank it as the best horror film? Simply put, the movie has very little gore in it. 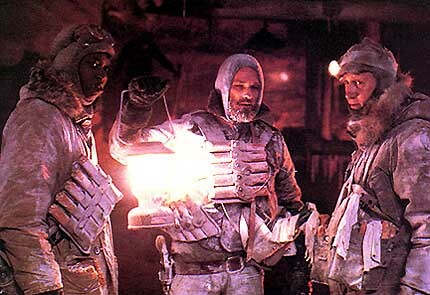 Admittedly what is in there is quite repulsive and shocking but what makes this movie so frightening is to watch these intelligent, bright and civil men inhabiting Antarctica Outpost #4 (3?) dissolve into a paranoid, cut-throat, and self-surviving shadow of humanity. 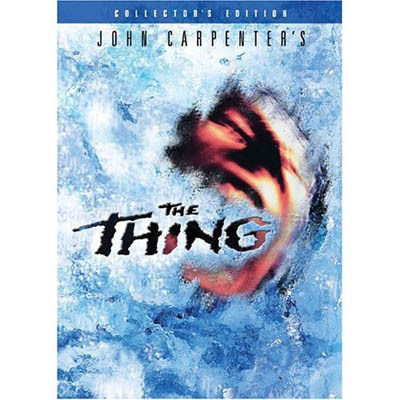 Carpenter shows an uncanny ability to add one extra character to this movie. No, it’s not the Thing itself, it’s claustrophobia. It’s paranoia. Whatever it is, it becomes an actual character in the film. It’s astounding how pervasive this becomes. While watching the movie it gives one the urge to glance to your left at your fellow movie watcher and make sure they aren’t getting ready to stab you in the back. It doesn’t hurt that Carpenter has a stellar cast to help him with this monumental (yet strangely effortless) task. And it also doesn’t hurt that the special effects, even in the overly done CGI world of today, hold on their own. This movie is a nightmare. It’s a haunting that won’t go away any time soon. It’s the type of movie that on a cold night, when the snow is deep and you look out the window knowing you are somewhere safe deep inside civilization, you still can’t shake this feeling that something is inside with you. Something that shouldn’t be there. Something that nothing seems to be able to stop. Yes. But who is a Thing and who is human.